As an employee, use the Astound virtual agent in Slack to- Ask anything you'd ordinarily ask the help desk. For instance, "how do I reset my password?" or "how do I use WiFi?" - Request anything you'd ordinarily request from the Service Catalog. For instance, "I need to order a new mobile phone" or "I need access to the payroll system". - Look up information in the Knowledge Base. For instance, "what's our PTO policy?" or "how do I clear the cache in Chrome? 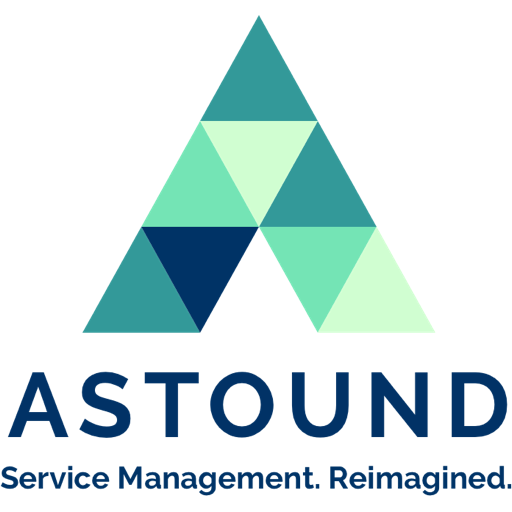 "Astound is a paid virtual agent integrated with Slack that uses natural language processing and artificial intelligence to provide all of the services you need as an employee... without any of the waiting on hold or "death by inbox" experiences associated with exchanging way too many emails to resolve simple issues.Contact your IT administrator or info@neva.ai with any questions about the Astound virtual agent for Slack. We're humans who are dedicated to delivering exceptional support... and we listen. Astound Virtual Agent will be able to install a bot user that appears in and has access to your workspace’s directory. It can also post messages and view activity on messages in any channel it is invited to.